Birding can often have its ups and downs but for the most part birds tend to prefer an upright position. Some notable exceptions are nuthatches and the Black-and-White Warbler. 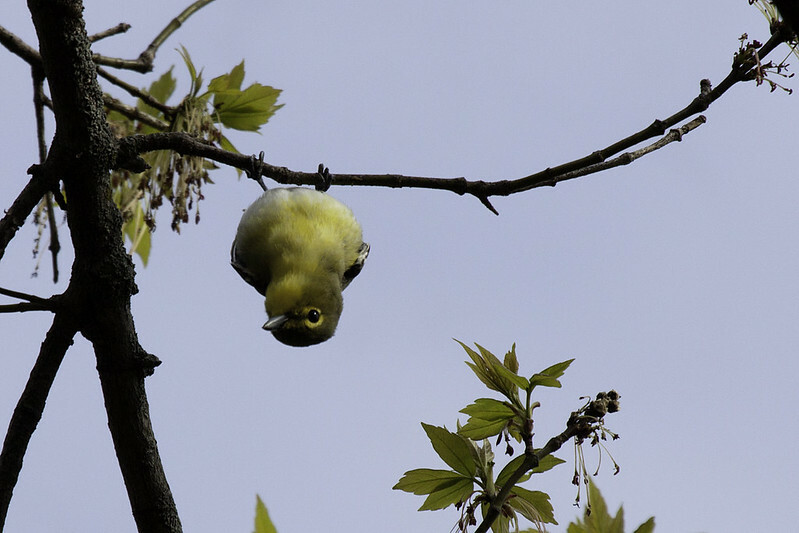 On the Spring Bird Count I spotted this acrobatic Yellow-throated Vireo who was eagerly hunting insects. He ended up posing upside down for several seconds, which is something I've never witnessed before. I love the acrobatics of birds and am always amazed at the various positions they get themselves into! What a fun shot! Sweet! You captured this fun image at just the right moment. Whoo Says It's Too Close? Warblers do exist away from Magee Marsh! It's May. Bring on the Birds!